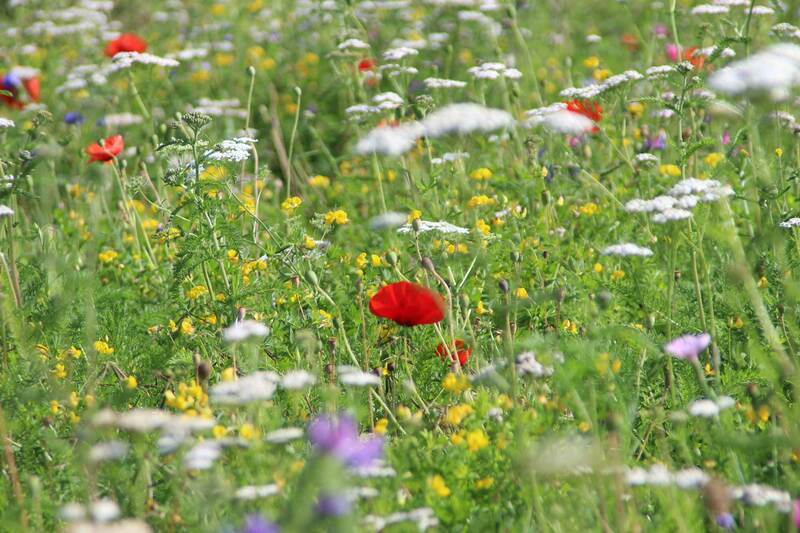 As an alternative to conventional turf you may wish to consider our range of Flora Wildflower Turf. Our products offer a quick and easy route to establishing wildflower areas to create focal interest and enhance the overall golfing experience. Suggested areas of use include tee banks, path edges or simply to create a perfect "Operation Pollinator" area anywhere on your golf course. 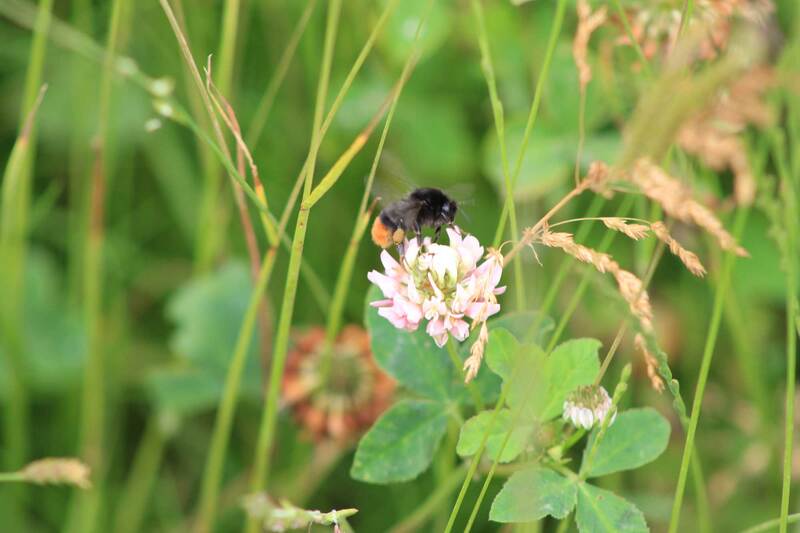 This is a great opportunity for your golf course to showcase their commitment to the wellbeing of both our environment and our native pollinating insects. For additional diversity and visual interest we also have Heather Turf available. 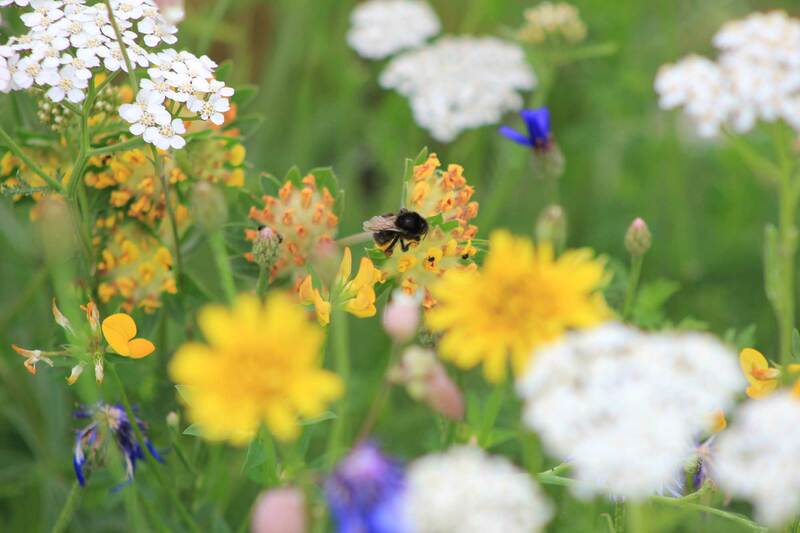 Sown as a 100% wildflower mixture of both annual and perennial species, our Flora Pollinator is the ideal choice when the addition of grasses is not required. 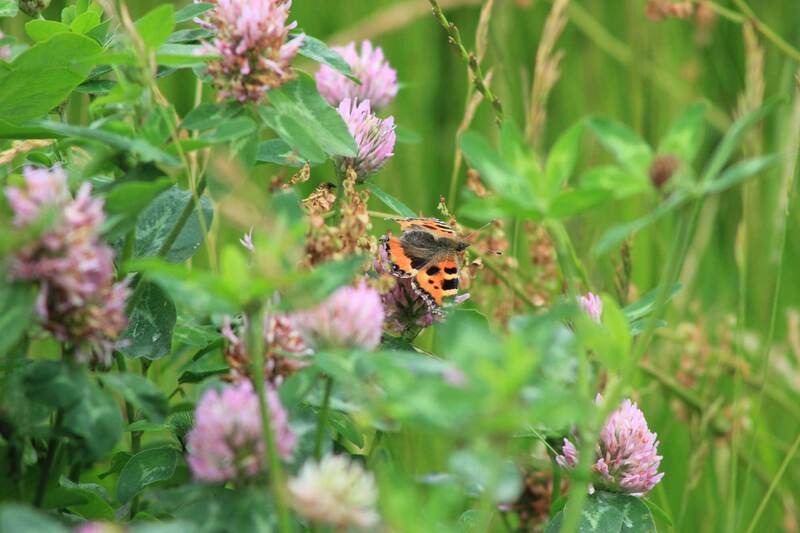 Low percentage of traditional annual species in the mix gives early visual interest and will slowly reduce as the more sustainable perennial species establish themselves. 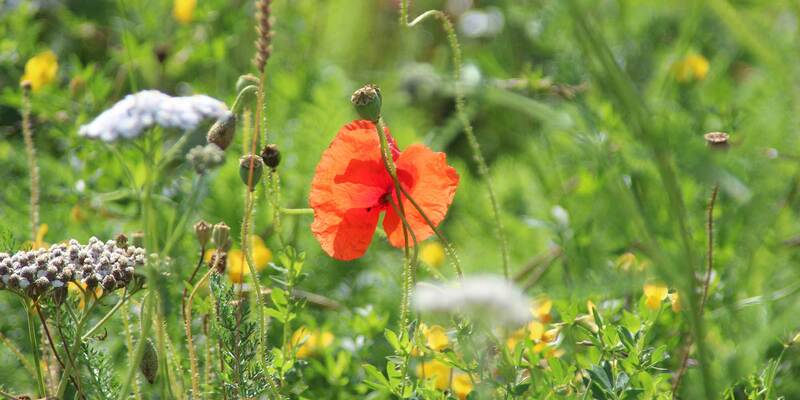 The seed mix is carefully selected to give structural and visual interest throughout the flowering season. Our Flora Meadow contains both native wildflower and grass species making it ideal where a more "traditional" meadow appearance is required. The combination of over 20 species of wildflowers and the attractive seed heads of the grasses creates visual interest and increased biodiversity. The established meadow provides perches for various beetle and grasshopper species and a vital nectar source for our native pollinators. The mixture is sown as 80% wildflowers and 20% grasses. 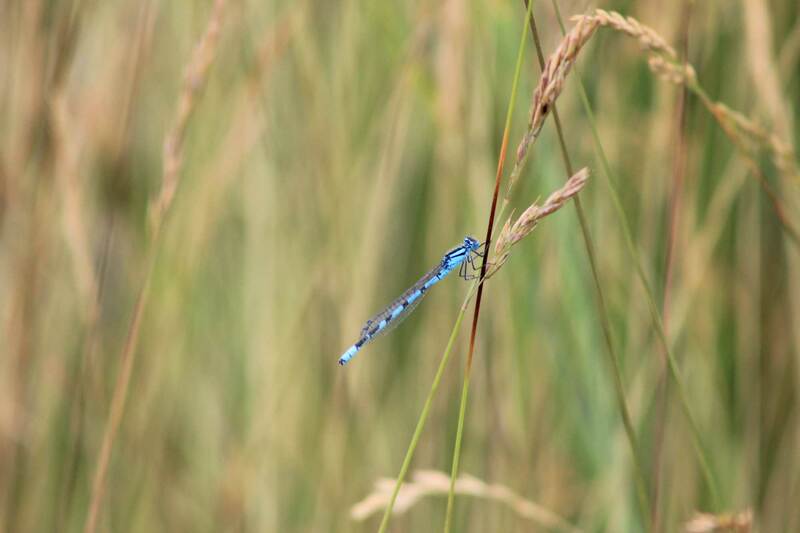 Flora Aqua is the ideal choice to add biodiversity to newly created water course banks, drainage swales or any other area prone to temporary flooding. The grasses in the mix are specifically selected to reduce water flow and the risk of flooding. When laying Flora Aqua we strongly advise the use of Bio Pegs to secure the turf and aid establishment. The mixture is sown as 85% wildflowers and 15% grasses. 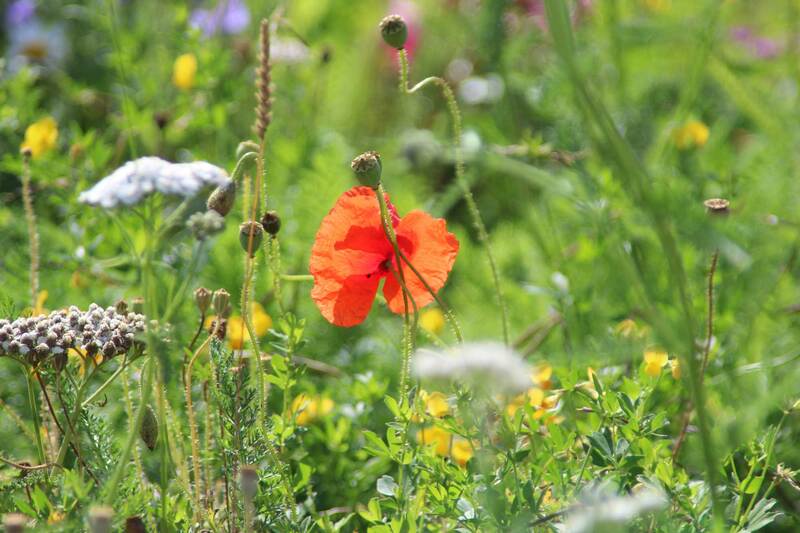 As an alternative to our diverse selection of wildflower turf products we offer a bespoke growing service*. If you require a particular blend of colours, perhaps associated with your club, or you require specific species to fit within your ecological management plan or locality then please contact us. *All contract grows based on a minimum order quantity. Terms and conditions apply. At Tillers Turf our passion for golf course conservation stretches beyond our proud co-sponsorship of the coveted STRI Golf Environment Awards. Two of our senior managers, Richard Owens and Ant Darker were named "Conservation Greenkeeper of the Year" in 2014 and 2016 respectively. The award recognises their personal contribution in promoting biodiversity and ecological good practice in their previous employments as head greenkeepers. Furthermore, Ant was instrumental in his golf club being awarded the 2015 "Operation Pollinator Award" in recognition of their commitment to sustainable wildflower management and Richard is an overall winner of the Lincolnshire Environmental Award.